Novelty products don't get any better than this. 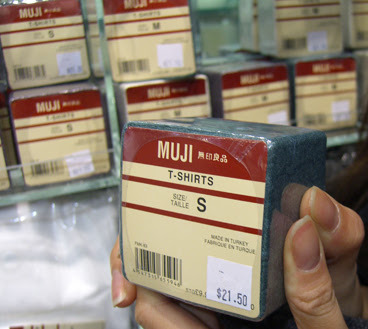 I can't imagine how someone developed the idea of a compressed T-shirt, but I like to think it's one of the many responses by Japanese society to urban overcrowding (ha). Nonetheless, the companies I've come across who successfully sell compressed T-shirts of their own brand are Japanese: MUJI, Bape, and FinalHome. 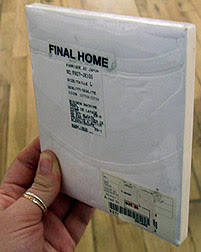 Looking at the FinalHome shirt below, which measures 5"x5"x0.3", I wish I could compress the contents of my closet. I would so build a fort. Those compressed t shirts are pretty neat.